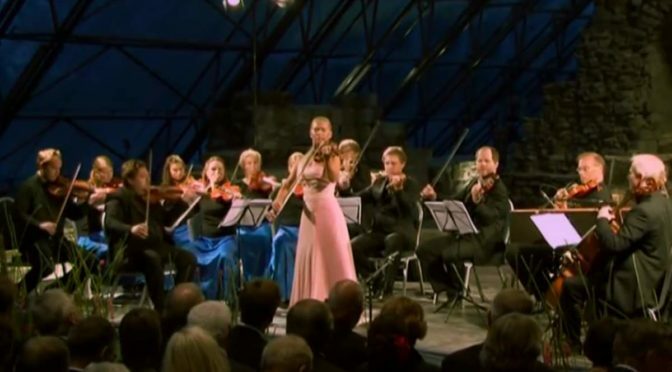 A musical chamber ensemble of string players based in Trondheim, Norway; the Trondheim Soloists perform “Summer” from Antonio Vivaldi’s Four Seasons (Italian: Le quattro stagioni). Soloist (violin): Mari Silje Samuelsen, 1984-born Norwegian classical violinist. Artistic Director: Øyvind Gimse. Video by Tor Melgalvis. Camera: Kjetil Andersen, Jan Gunnar Martinsen and Tor Melgalvis.